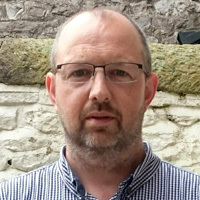 Stephen has lived in Buxton, Derbyshire, for nearly ten years, and has been in and around the town's own Fringe festival for most of that time, most recently doing some press releases and looking after the twitter feed. His main interest is theatre, but he has surprisingly catholic tastes for a man brought up an Ulster protestant. He reviews for Fringe Guru in Buxton and Edinburgh, likes ideas, and stays up too late.